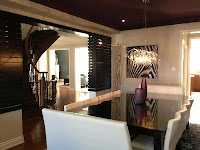 This Dining Room Entryway uses an amazing collection of colour and style all wrapped together into a single theme. 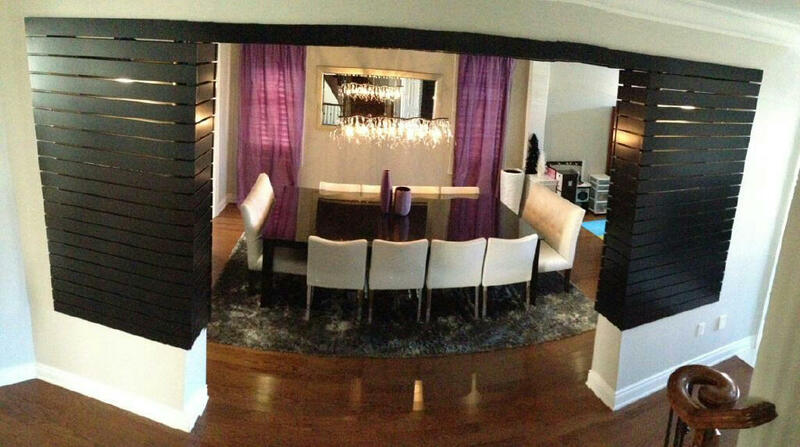 We came in to the client to replace the existing wood columns with new custom individual black slats on both sides of the dining room entryway. With embedded potlights hidden behind double custom slats towers, it provides a wonderful lighting effect to the dining room entrance.